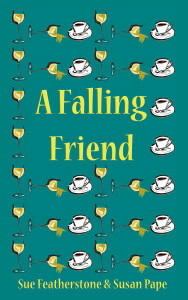 I’m hosting the starter day party today for the book tour for women’s fiction “A Falling Friend”. The tour runs from April 25 to May 9. Stay tuned for my review on May 7! 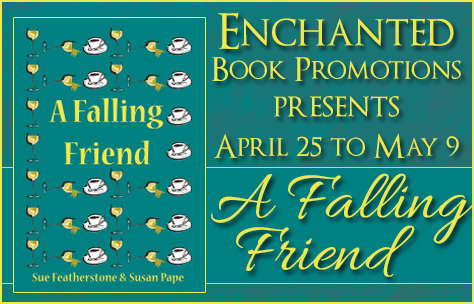 Also, there’s a giveaway during the tour for 3 “A Falling Friend” eBook, and one paperback and swag. Scroll down to participate! After spending her twenties sailing the globe, making love on fine white sand, and thinking only of today, Teri Meyer returns to Yorkshire – and to studying. That’s when she discovers John Wilmot, the second Earl of Rochester, and poet of all things depraved. What she doesn’t realise is even beyond his grave, his influence over her is extraordinary. To hell with the consequences. Having gone out on a limb to get old friend Teri a job at the university at which she teaches, it doesn’t take long for Lee Harper to recognise a pattern. Wherever Teri goes, whatever she does, every selfish choice she makes, it’s all setting her up for a nasty fall. But Teri’s not the sort to heed a warning, so Lee has no choice but to stand by and watch. And besides, she has her own life to straighten out. A clever, raw and hilarious character-driven masterpiece that follows the lives of two friends with the same ambitions, but who have vastly different ways of a achieving them. 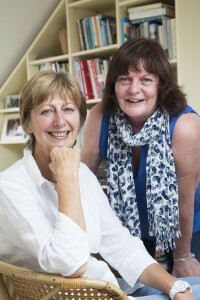 The pair, who have been friends for 25 years, have already written two successful journalism text books together – Newspaper Journalism: A Practical Introduction; and Feature Writing: A Practical Introduction. Susan is married and spends her spare time walking and cycling in the Yorkshire Dales and on the east coast, and playing the ukulele. Thank you. Hope you like the book!